When Wild Amor launched in 2010 as Studs & Pearls, my main focus was designer-inspired DIY projects. Most of the tutorials were based off of high-end items, but basically anything store-bought was fair game. 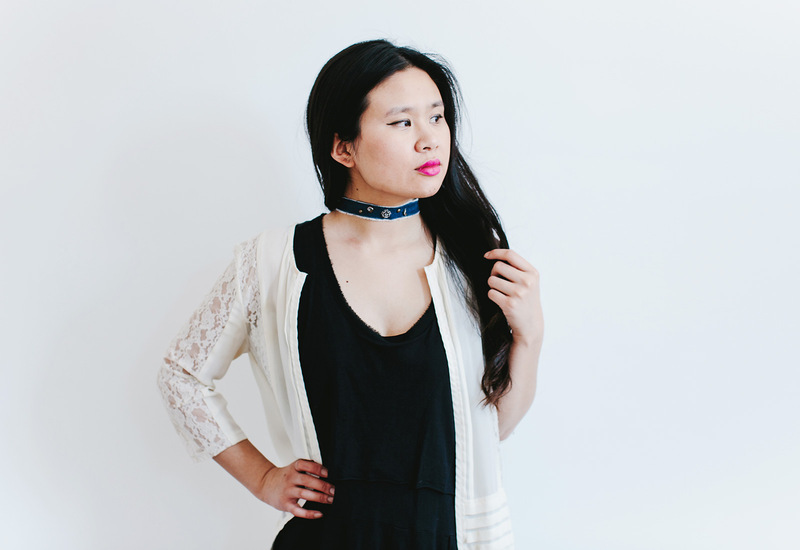 It was the peak of the DIY blog movement, and designer hacks were all the rage! These days, I’ve broadened the blog’s horizons, from recipes to homemade beauty. But once in a while, I can’t help but kick it old school with some designer inspiration. 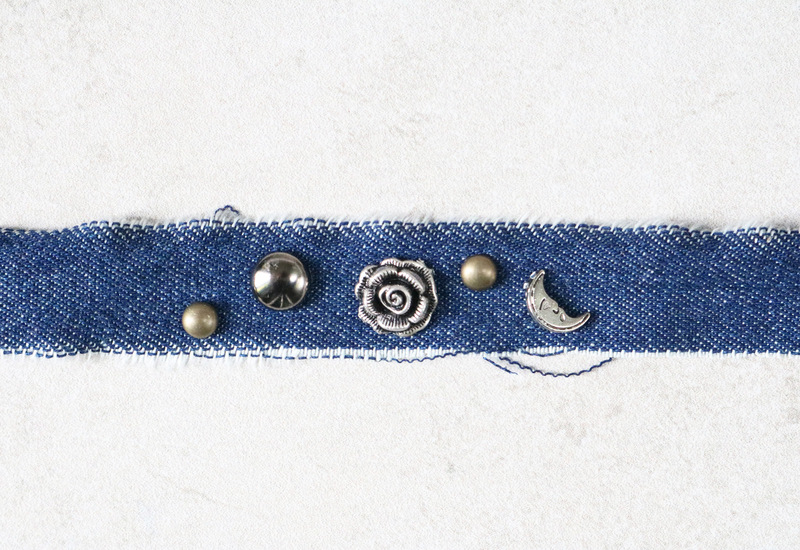 Cue this necklae tutorial inspired by Free People’s Pin It On Denim Choker, available for 28 bucks, below. I’m such a nerd for projects with leftovers and scraps, so I knew I had to make my own. The best part? It costs next to nothing to make. Here’s how! 1. 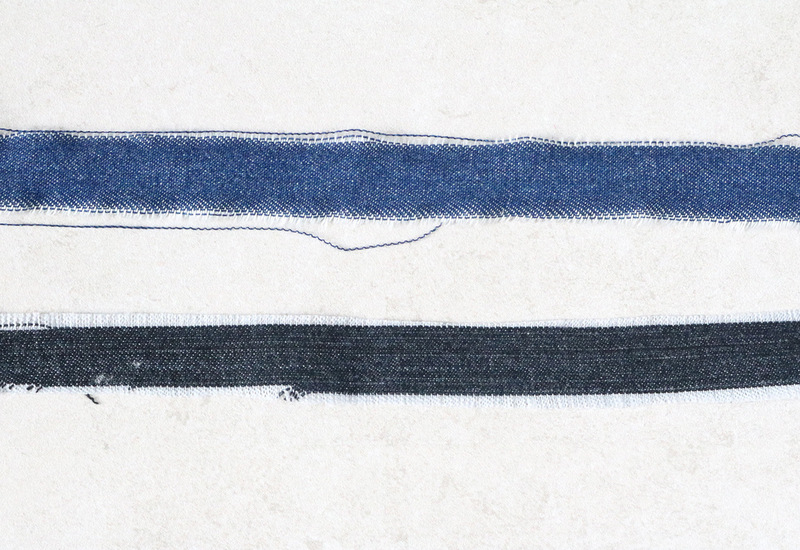 Cut a strip of denim; the width is totally up to you. 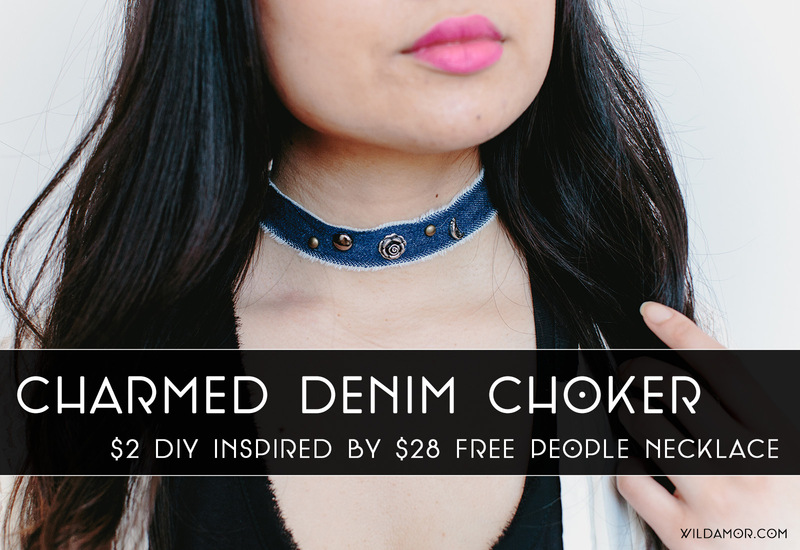 The wider the denim, the thicker the choker. Free People’s version is 1.5 inches thick, but I went for just under 1 inch. 2. If you’re using charms, remove the loops with pliers. You can cut or bend them off depending on the thickness. 3. 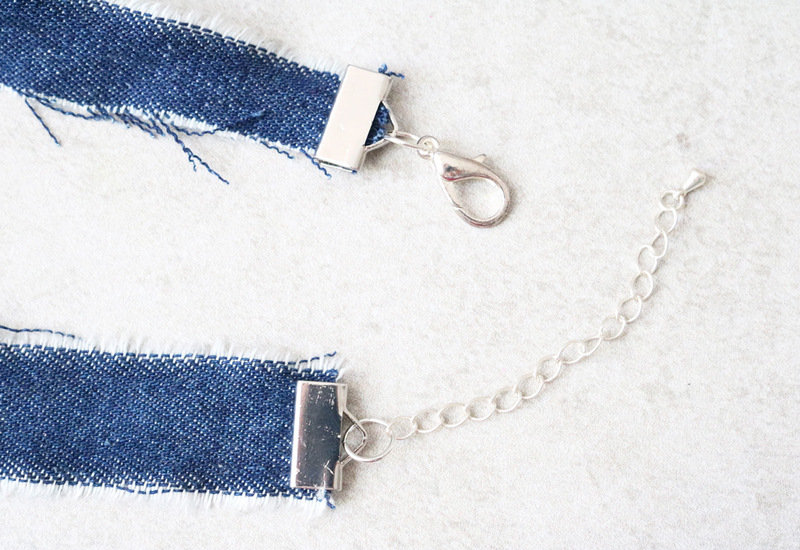 Glue the studs and charms to the denim. Let dry completely. 4. 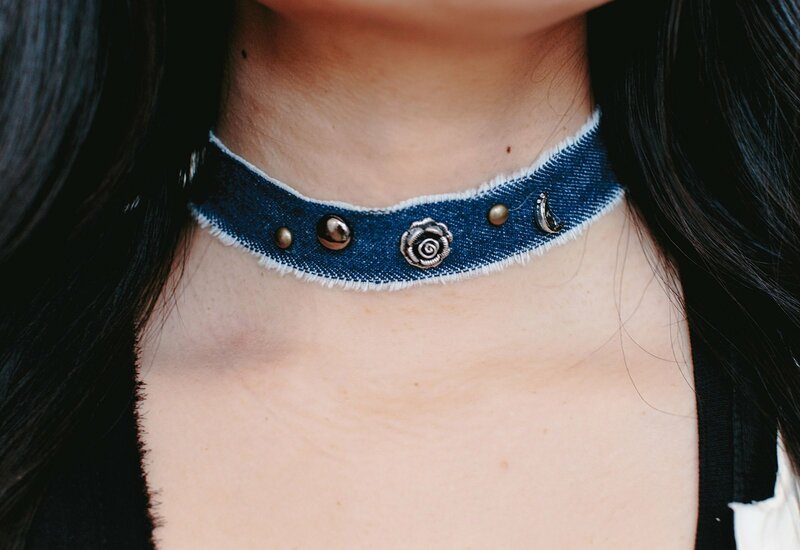 Once dry, trim the denim choker to fit your neck. Add a ribbon clamp to each end. Attach a jump ring and extender chain to one side, and a jump ring and clasp to the other. This project has so much potential for customization. 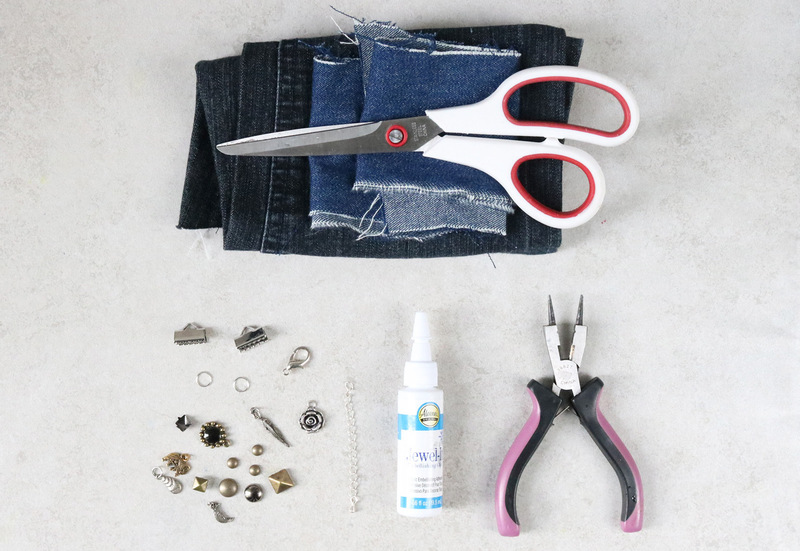 It’s also a rad beginner DIY project, or when you just have that crafting itch. 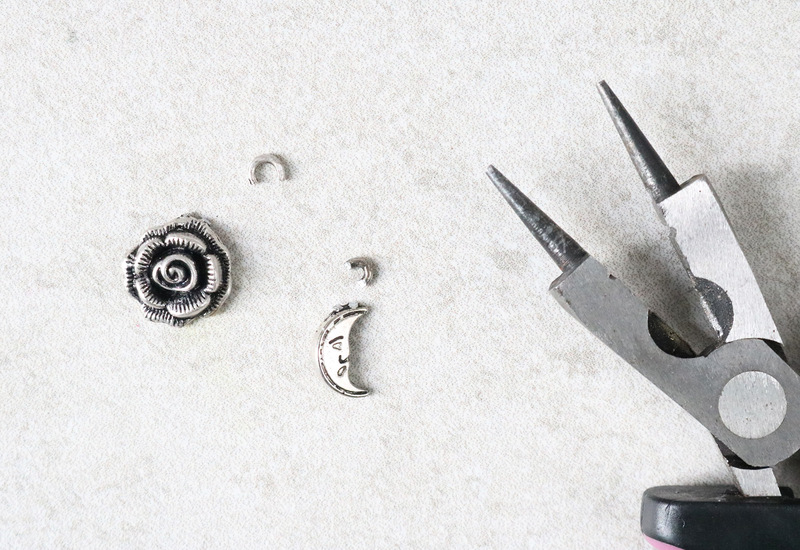 This quick DIY is another great way to use leftover charms, too. Each choker will be completely different. Score.